18th April - New Spawn, Chat Unscramble, Auction House, Coinflip and More!!! Hello everyone! Hope you are all looking forward for Easter! Today we have an amazing update for you. Firstly, we are BETA testing a new spawn that we have been working on over the past month. With this new spawn the yard, boss arena and spawn are all located in one world. The arena and spawn hover over the yard giving the server a place where all ranks can hang out! All the NPCs have been moved to this new spawn, including the addition of Warp NPCs that teleport you to specific areas such as mines. We hope you enjoy it as much as we do! As we say this is a BETA test so please report any issues that you find in our Discord. Hello everyone! Hope you are having a lovely April so far! It seemed fitting with the new prestige cells available and the older addition of having a second realm that we should have another build-off! So here are the guidelines you will need to follow! 1. You can only submit ONE cell per account, however if you want to build on an alt account with a complete new design you may. 2. The entries for the contest will close on Good Friday (19th) and the winners will be reviled on Easter Sunday (21st) . 3. Texture packs CANNOT contribute to the build, as I will be viewing them vanilla. April 5th, 2019 - Prestige Cell Upgrades, IRON Rank, Miners CRATE + more. Hello everyone, today we have some more small additions/changes for you guys to enjoy. We have added 4 total upgrades for Prestige members. You will receive prestige cell upgrades at Prestige 1, Prestige 4, Prestige 7 and Prestige 10. These cell upgrades come after your F Ward/Underground upgrade. If you are prestige, you should already have your furthest prestige upgrade for your cell. You will just have to purchase it. If you are not prestige, you simply do not have permissions to go past the F upgrade until you are prestige. How big are the prestige cells? For reference, lets start with the size of the F Ward/Underground cells and then move up. March 29th, 2019 - Chat Colors, April Supply Box, New Name Tags & Kit + more! Hello everyone! Today we have a couple small additions on the server for you guys to enjoy. We have introduced chat colors to the server as a new cosmetic perk for users to enjoy! Each Donor Rank has their rank's corresponding chat color. NOTE: Donor Ranks will NOT see their color in the chat color menu. You simply have the above colors as your ranks DEFAULT chat color. March 18th, 2019 - Duels, 2 More Vote Sites, New TM Items + Supply Boxes! Hello everyone! Today we have a small edition for all of you PvPers or those of you that just want to show you're the boss around the Prison. Today we introduce the ability to duel other players! Duels currently have 3 kits, Archer, Protection 4 Diamond & Iron. We also have 1 Arena to go along with it at this time. We plan on introducing more kits and arenas if players like the system. What do you have to do to duel another player? Well, first you and that player will have to use the command /duels. The /duels command will take you to the duels server. Once you and the player have met in the duels lobby, you simply do /duel <username> (amount). Keep in mind, the amount is a MONEY BET that can be made on that duel. It is OPTIONAL and not every duel needs to have a bet. The duel server is just like the /event server and it will have a separate inventory, so it may look like you lost your items, but you have not. 21st February - Emerald Rank Added + Rank Glows + Giveaway! Hello everyone, hope you are having a lovely day! So the first thing that you are probably wondering is what is in this new rank. If you would like to see the full features of the new rank, click the spoiler or click here to take you to the store. Below you will see the new features exclusive to Emerald Rank! Access to the /bm command. Make unlimited custom, uncraftable banners for FREE. Diamond rank users also have this feature, however, they have a small fee for banners. Access to the /ci ( or /clearinventory) command. Clear your items in your inventory with ease! Access to the /chestsort command. Sort chests at your cell with super ease! This command can only be used on the CELL servers, if you would like to turn OFF sorting, just run the command again. Access to a 3 Page Enderchest (135 Slots) using the command /echest. Hello JailbreakMC. Hope you are having a nice week! Today we introduce to you an updated PVP area, new enchants and the latest Supply Box! The new updated PVP area is now smaller for more combat to be held. Fight in a broken down prison yard to try and earn loot from your fellow inmates! To access the new map, do /yard. We have also added an abundance of new enchants to the server to help you combat to the best of your ability. You can see the newly added enchants down below within the spoilers. They have been color coded to match the corresponding enchant levels. To access the enchant list do /enchants on the server. Hello JailBreakMC community! Hope you are all well. Today we introduce to you new additions to the existing Gold and Diamond ranks! We also are delighted to introduce the new Accommodation Crate! Firstly, lets talk about all the new benefits that existing ranks will receive. If you have already purchased one of these ranks, you will not need to pay any additional cost to receive these new perks. We have implemented a new cross server enderchest that all players have access to as a default. If you do not have a rank you will have 1 row which is the equivalent of 9 slots to store items throughout the prison. Ranks will have access to more storage within this command as seen down below. /enderchest - 1 page of cross server storage (5 rows. 45 slots.) . /near - Ability to view players that are withing a certain range from you. Jan. 24th - Prestige Mine, New Kit, Crate and Glow! Hello everyone! Hope you're having an okay week. Today we have something you guys have been requesting for a long time, plus more! The Prestige Mine is finally in the game! Please keep in mind this Prestige Mine is still a little in the early phases, so please let us know if you find any bugs or have any suggestions! What is the Prestige Mine? Well, if you have reached F4 and PRESTIGED you will be able to access this mine! All you have to do is buy access to the mine from the Prestige Token Shop. Access to the mine will only cost you 1 Token and you will NOT have to re-buy it each time you prestige. Why does it cost tokens? Well it was the easiest way we could verify if someone was prestiged or not.. So we did it. How do you access the Prestige Mine? Well, after you have bought access to the mine from the /token shop, a permission was added to your account to grant you access. 21st January - Voting Update! Hello everyone! Hope your week is going well. Recently, we decided to change how voting works on the server to add more variety into what rewards you can get for supporting us. So you are probably asking yourself, what are trade tokens? Well, at /warp a you can see a new Trades Master that has come to do business with well behaved inmates in exchange for this new currency. The new currency can be obtained by voting on the server. You will receive one token every time you vote and you can vote every 24 hours. You can also do /trademaster anywhere in the prison. All the items that are purchasable from the Trades Master are different ranging from Air Strikes to Cosmetics. Hello JailBreakMC, hope you all have been having a nice Holiday Season so far! Today we bring you a community update instead of a mechanical update, meaning this is less new and more interactive. As you can guess from the title our Holiday Sales Special will be starting soon and @ReptileInsane will be hosting events! So you are probably asking yourself hundreds of questions right now so lets get into some of the details! Christmas is right around the corner.. So we will be starting the beginning of our Holiday Sales Special! It will function much like the Black Friday Special we did, so make sure to check each day to see what’s for grabs. The Sales will begin tonight (technically tomorrow) at Midnight EST (9PM PST) will go through till 11:59PM EST on Wednesday December 26th! New Mob Arena Map, December Supply Drop & Double Mine Drops Week! Hello everyone, today we have a small update for you guys. Hope you enjoy! The Sewers map made by most of the staff team has been added to the Mob Arena! For those that do not know, you can get to the Mob Arena by using the /mobarena command when you have an empty inventory. The Sewers map is a little more challenging than the original map (which is still available to play). With this map, there are also some changes in the numbers involved..
With the "Sewers" map added, each person will be given 3 (three) total lives, as opposed to the 2 available to you in the "Arena" maps. With this, there is also more time and more available spots for people to join! In the Sewers map, you will need at least 4 people to start and can have a max of 6 people in the map. We hope you guys enjoy the new map! We will also be added some new kits to the Mob Arena very soon! Kits named Scout, Tank and Witch! These kits will be obtainable through various methods in the game. Stay tuned! 12/01/18 - Mob Arena [BETA], Anti-Drop, Lottery and Advent Calendar! Hello everyone! Today, you may have seen some new additions to the server.. Well, here they are! We have added a Mob Arena to the server! In this Mob Arena you will fight mobs with up-to 3 other players who also join that arena! How do you get to the Mob Arena? Well, you can use the command /mobarena anywhere to be teleported to the Mob Arena server! You MUST have an empty inventory to be able to go to this server! Yes, that means you cannot take your armor/weapons.. Why? Well, that's because we got that covered! Everyone that joins the arena will be offered a KIT to choose from.. Currently, there are only two kits, "Archer" and "Warrior". What's the point of doing the Mob Arena? Well.. We wanted to add a fun little mini-game for users to play if they are tired of mining.. There is a currently a 75 player server cap on the server to prevent lag. But wait! In the Mob Arena.. You will also earn GOLD NUGGETS depending on how well you do in each go at the arena. You can turn these nuggets in for items at the "Rewards" NPC (or using /ma rewards) at the waiting area. Currently, there are not many items available to buy, but we plan on adding more very soon! Black Friday Special LIMITED Supply Boxes! Hope everyone had a nice Thanksgiving to those who celebrate. Today is Black Friday which means savings for all! Black Friday savings will be ending Sunday at Midnight EST..
Something else we have added will be also ending then! We have 3 new Supply Boxes for you guys to grab this weekend only as a part of our Black Friday Special! These Supply Boxes each feature items from previous monthly crates, 1 new item for each category as well a rare item only obtainable from these Supply Boxes. Difference from previously monthly crates is that they have all the specific types of items you want in one place! Want a item you missed on from previous crates or looking to get your hands on something special? Check out these Supply Boxes! This Thursday is Thanksgiving in the states which means Black Friday is right around the corner! We will be having a Black Friday Sales Special on the store beginning tomorrow. The Black Friday Special will begin Wednesday at 12:00am EST (tonight @ midnight) and go through Sunday 11:59PM EST. Make sure to check store.jailbreakmc.com to see what's on sale during the special! Happy Thanksgiving to everyone celebrating, and happy Black Friday shopping! If you are going out on Black Friday, make sure to be safe and don't get stampeded. If you have ever thought of trying to upgrade your furnace system, now is the time to do it. With this new mechanic we have introduced to the server, you will be able to exchange money to make your furnace more productive in fuel cost, speed and output. This is a smart way of people able to produce money without having to mine as much. So you are probably asking, how does it work? Well, all you have to do is left click your placed furnace in your cell to bring up the GUI. This will present you will all the available options you can change with your furnace, including all the information about the furnace!! There are a total of 6 levels, meaning each time you upgrade the furnace, it increases in productivity. This will cost you though! Warning: Only upgrade furnaces that you plan on keeping in their location. If broken, the level will be lost. 28th September Update - The EXPLOSIVE Update! These are essentially items you throw in the mine to demolish large areas and collect loot. You can use them to mine or use them to scout for chambers, whatever you want! They come in all 4 rarities; Common, Rare, Epic and Legendary. The size of the explosions are determined on their corresponding rarities. For example, Common Air Strikes will have a smaller radius then a Legendary Air Strike. They also work with our shop plugin meaning you can sell them at your cell. However you are probably thinking, "How do I obtain these Air Strikes?". Well, you can receive them the same way you would receive a crystal. This means as you mine there is a chance to get rewarded one in your /rewards. If you want to see them in action, click here. 14th September Update - PVP Update! So, we can't have a pvp update without some new enchants can we? Here is the list of new enchants we have added to the server. Blast Off - Chance to launch into the sky at low health. Cactus - Chance to hurt the attack when hit. Tank - Chance to apply slowness, resistance and strength to the defender. Withering - Chance to apply the wither effect to your attacker. Enlightened - Chance to heal and apply resistance to the defender. Fortify - Chance to take significant less damage when crouched. Snares - Chance to render the attacker immobile when the defender is hit. Slow - Chance to apply slowness to the target. Poison - Chance to apply poison to the target. Blind - Chance to apply blindness to the target. Berserk - Chance to increase your damage at the expense of attack speed. Senseless - Chance to hide your enemies health from them. September 10th - Dungeon Themed Cell Design Winners! After another 2 weeks of designing a dungeon themed cell, the results are in, even though we had less entries this time, it was even more tough to narrow them down to the 5 winners. A classic dungeon feel with amazing creations pushing the boundaries of Minecraft mechanics. Worthy second place winner! Death, blood and decapitation. Three words that sums this cell up! Maybe one of 2 cells that added some colour to their design, this chamber is terrifying to the bone! A labyrinth of spooky low light halls that sent chills down my spine when I was judging! Congratulations to the winners and well done to all those who entered with other amazing designs. If the winners who have a an optional prize could contact me on discord with what you want, I can get your prize to you as soon as possible! Have a nice day! 7th September Update - Voting, New Boss & Trade Revamp! Hello JailBreakMC! Hope you are coping back at school! To ease your pain we have been working hard for this weeks update. Stay tuned for more! You asked for it so we delivered! Voting has now been enabled and has some awesome features to it. When you vote, you will receive a vote supply drop. You can vote for the server by doing /vote, you will then be asked to click on a link that will take you to the voting page. From there you will enter your details and once completed you will need to do /vote to claim your reward. Similar to the monthly supply drops, you place the vote supply drop down at /spawn. You can only vote once every 24 hours. Click here for the voting link! 31st August Update - The Alchemist, September Supply Drop, Monthly /gang top Rewards! You already got your dubs full of common crystals, rare crystals, maybe even epic crystals and you don´t know what to do with them? Why should you use dust if you can just buy a better crystal from another player and leave your low rarity crystals to rott in your chests, right ? Today we are releasing a solution for this exact problem. The Alchemist. Furthermore we will release /gang top rewards. We have also tweaked some stuff and hope you like it. August 25th - Dungeon Themed Cell Design Competition! Hey everyone! So we are going to do another cell contest but this time the theme is a bit different. This time, I want to see who can create the most dungeon like cell. I want to see who can create the creepiest dungeons that would send shivers down anyone spines when they visit. Basically, once you have finished creating your cell design on the Prison Server, you will take some screenshots from any angle. You can take as many as you want and once you have done you will upload to the google forms post down below! Once the week it up, the google form will be closed! The cell designs will then be judged and prizes will be given to the top 5 designs. How will it be judged? It will be judged on effort and style. 1. Your cell must not change from when you submit to when the winners are announced. 2. You cannot copy other cells. 3. The prize will go to the cell owner. 4. Have fun and be inventive! 1: Either an September Crate or a mystery rare block! 2. Iron Guard spawn egg. 3. Bold and/or Italic username style. Form will be closed on the 8th of September! August 24th Update - /trade & Double Crystal Weekend! It has been heavily requested and finally it is here, /trade. For the other player this message will appear asking him to /trade accept the deal. If you do not want to do a trade with a player that requested a trade you can also /trade deny. August 16th - Cell Design Competition Winners! He created an amazing cell with a backstory to accompany it. Each part of the cell was made for a specific reason to contribute to the story. If you want to read the lore you can find it here. With his amazing nether themed design, Bullmeza managed to fit so much detail in such a small space. From the nether portal to the dragon head, this cell was defiantly worth 2nd place. Yet another cell with a rich backstory, this cell design has a futuristic feel to it. Not only does it show style in blocks, but in sound and light too. This cell reaches different levels of design! From Space to the Nether, we haven't yet got a homely cell. Well Luxisggwp managed to create the prisons most home like cell with its yellow theme and clever use of blocks! Hey everyone! Today we are announcing the first build contest on the server. You will have 2 weeks to create the best cell design. To start with, there will be no guidelines for what you can create so make the most inventive and amazing cell ever! It will be judged on effort and style. There are no guidelines as there is no theme to this event however in the future there will be! 1: Either an August Crate or Rare block of your choice within reason! 3. A nametag of your choice. Form will be closed on the 16th of August! July 14th - /yard Shakedowns & Double Crystal Weekend! Shakedowns are here! Shakedowns act as Envoys, but with a little prison theme. Shakedowns will be started in the yard automatically every 2 hours! However, there must be at least 15 players on for these automatic Shakedowns to start! How do these Shakedowns work? Well! Once you head over to /yard you will see a new hologram that states when the Shakedown will start. Once a Shakedown has started, 20 chests will spawned below the spawn! They will spawn randomly in a circle radius from the spawn island. Once a Shakedown has started, everyone will have 5 minutes to gathers all of the chests! That's right people! Get ready for gangs! Now, gangs are an essential part of surviving in prison. They are your family. They got your back. You'd do anything for each other. With your gang you can rise through the ranks, but be careful, rival gangs will all be fighting to emerge as the top JailBreakMC gang. Do you and your friends have what it takes? If you have a Diamond rank you can make a gang. However, anyone at any rank can be invited and join! Just the leader has to be Diamond rank. Commands are as follows. To see them in game type /g help for the list. When you join a gang you will be one of four possible ranks. Member - lowest rank given to new players in the gang. Veteran - higher than a member, but not quite an officer. You've proven your loyalty to the gang but are not quite Officer material just yet. We are excited to have made it to our very first update! First, we would like to thank everyone who has played up to this point and made JailBreakMC such a blast. It is time to introduce our first boss. He's big, he's beefy, and he can take a punch. Anyone who manages to take him down will no doubt earn enough street cred to walk around the prison without fear. But first, you gotta take on the guard. The Iron Guard is meant to be a tough fight, so we recommend having at least diamond gear before attempting to defeat him. It's finally here! We're ecstatic to announce the official launch of JailBreakMC! Play now at play.jailbreakmc.com and also be sure to check out our Twitter at https://twitter.com/MCJailbreak for announcements and bug fixes. GIVEAWAY! - How To Enter - Ends April 19th, 2019. Slavickk Noob_2k18 Slavickk wrote on Noob_2k18's profile. Hey bro, are you able to get on the server rn ? _Maniac_Worm_ SHADOWHunter5673 _Maniac_Worm_ wrote on SHADOWHunter5673's profile. know when downtime is over? 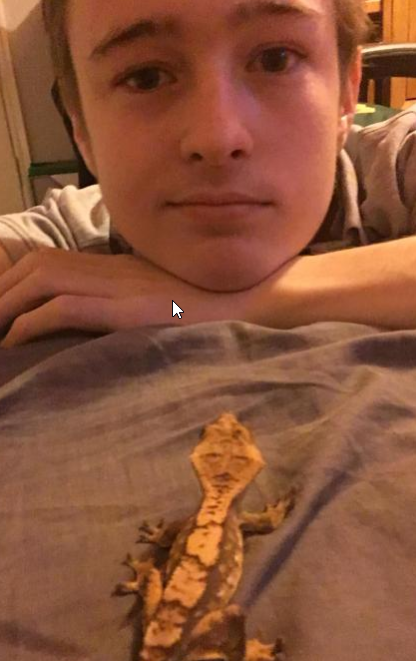 https://i.imgur.com/IQ5LLrh.png Here is a picture of me with one of my many reptiles. Posting this because people think leaking images of me is funny so I thought I would one up them and leak one myself. MeltyBurrito ShadowDolphin164 MeltyBurrito wrote on ShadowDolphin164's profile.